Born in Rome of a northeastern family. He was basically taught and influenced by Italy's leading "School of Rome", a new painting style related to a group of artists inspired by European Expressionist tendencies. Extensive travel in Europe made the artist acquainted with current art styles. In France his style was impressed by the paintings of French Impressionists. Campo's early works show a certain impressionist feel. He qualified for important national art contests sponsored by locals art magazines. He mostly had exhibitions in northern Italian cities like Milan and Bologna, etc.The artist took part at the ARTEXPO at the Javits Center in New York where he found a warm welcome and was repeatedly invited to take part in it in the following years. He also won a prize in a national art show set up by the italian art magazine "Arte". 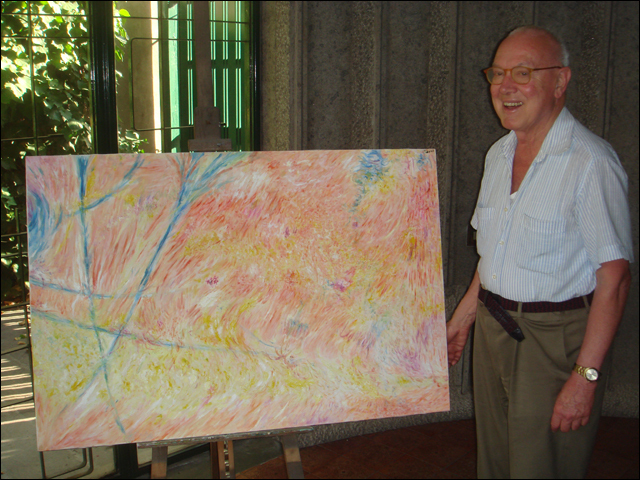 Originally influenced by French impressionism, Campo later matured his style toward abstract techniques.